“I don’t want to regret about not pursuing a dream which I always thought about. 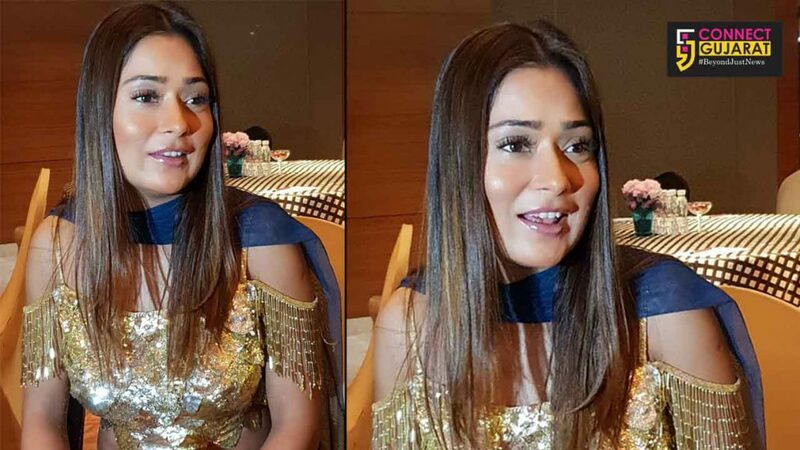 I just want to keep working and try to do everything in life,” said Sara Khan, popular television actress of Sapna Babul ka Bidaai. She also talked about her first song as a singer and starting her own cosmetic brand in short time. Sara was in Vadodara for the first time and shared about her love for Gujarati food. She said the food as well as the life here impressed her the most and it was a pleasure to visit here. Further, she said her dream is to keep working and explore more exciting stuff. “I always believe in keeping working and exploring new things in life. As a television actress I am satisfied with the kind of roles I get and now, moving further in life, I want to do new things. I am coming up with my first song as a singer and my own cosmetic brand in near future,” said Sara. She said her dream is to do lots of things in life and try and do everything. “I am satisfied with the kind of roles I got and loved playing them till date. My dream is to do lots of things in life, as I don’t want to regret that I left something behind which I wanted to do. I am following my career step by step and soon going to launch my solo single and my cosmetic brand. Five years down the line I want to become a successful businesswoman,” said Sara. Sara also earned fame after entering Big Boss house in season 4 and is also active in social media. She also said that she is unaffected by the trolls. She said she is used to people sharing their views about her and she is used to the trolls. In fact, she enjoys reading the comments.